awarded Best Christian Novel 2005 by the Christian Broadcasting Council . The recent discovery of anti-gravity and infinite energy has had a huge impact on the world. Who would have dreamt that this would lead to a frantic dash across space to save humanity by an obscure piano teacher? And why was the precise number of a Rachmaninov Prelude so vital to the future of the cosmos? Paperback £5-99 (order here). Opening pages here . . . 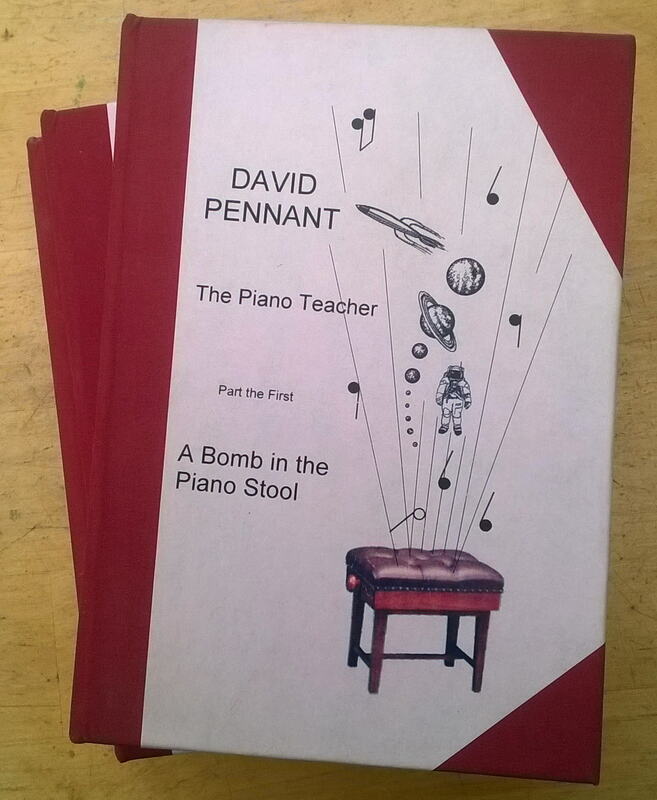 The Inventor's Folly Sequel to The Piano Teacher. The Inventor's genius is all very well, but this is ridiculous! £1.99 for a pdf file (order here). The Investigator's Choice Conclusion to The Piano Teacher. Life appears to have got back to normal. But the difficulty of choosing which girl to pursue gets overtaken by events, namely over-zealous monks cooking up a severe storm... £1.99 for a pdf file (order here). Opening pages here . . .